It's been five years since Dwayne Johnson enlisted for G.I. Joe: Retaliation, and his addition to the sequel gave the franchise a mild boost, but nothing huge. A third film has been in the works ever since but Paramount has never made it a priority. They're still moving forward, though, setting a release date for March 27th 2020, and *shocker*, they want their big guy back. 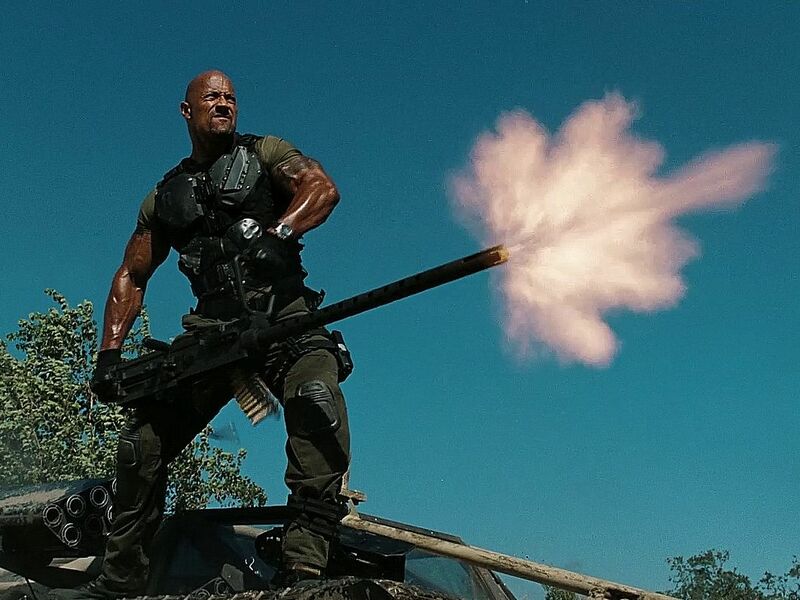 The easy part of this rumor from The Hashtag Show is that Paramount wants Dwayne Johnson to reprise his role as Roadblock in the film. The heavier lift is the apparent title, G.I. Joe: Ever Vigilant, which Paramount has not confirmed. We'll have to wait and see if it's true and we probably won't know until production draws closer. Mission: Impossible-Ghost Protocol writers Josh Appelbaum and Andre Nemec are working on the script, which should set the film within Paramount and Hasbro's shared cinematic universe with ROM, MASK, Visionaries, and Micronauts. "The film is set to see Johnson’s Roadblock, who first appeared in 2013’s G.I. Joe: Retaliation, assemble a new team of Joes to stop terrorists from launching a dark matter WMD that will turn their targets to dust! The site then goes on to guess who Roadblock will invite to be part of the G.I. Joe roster, as well as some possible villains they will face. It's all speculation and doesn't amount to much, and the video is unwatchable like most of the site's stuff is, but it's here if you want to check it out.